Photos by Mike Moore|The Journal Gazette Rob Slusser whips up some Cookie Bottom Cheesecakes, which he will make for Parkview Cookin' Men. Slusser will be taking part in his 10th Parkview Cookin’ Men on April 27 at Memorial Coliseum. Slusser will make between 300 and 350 different minicheesecakes. Where: Memorial Coliseum, 4000 Parnell Ave.
Women, it's time to turn over your pots and pans to a new group of cooks: men. The number of men cooking at home is on the rise. While women are still the primary chefs in the home, the number of men with a high school degree or spent time in college who cook has increased 10.8% from 13 years ago, according to a study in the February edition of Nutrition Journal. The increase in male cooking could be an indication that gender roles in household activities have shifted, or it could reflect that when it comes to daily activities, an average of 95.3 percent of men spend their time eating and drinking, according to the U.S. Bureau of Labor Statistics 2017 Time Use Survey. The only thing men do more of is leisure time, which includes sleeping, watching TV and sports. Rob Slusser admits that he is no chef. “You can tell by my svelte figure that I am more apt to eating than cooking,” he chides. 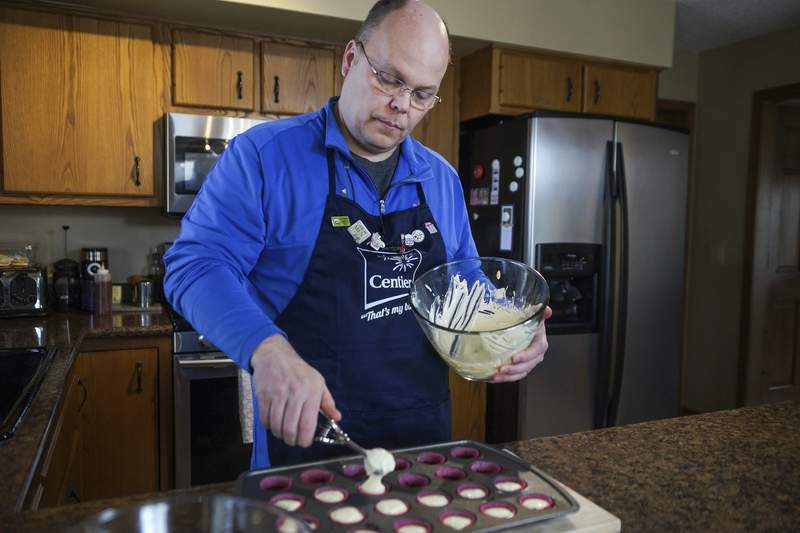 Slusser is in the kitchen of his Fort Wayne home demonstrating how he makes his Cookie Bottom Cheesecakes. They will be among the dishes prepared by 108 male cooks at this year's Parkview Cookin' Men event. So ladies, if things haven't really changed at your house, this event could be an opportunity to see men showing off their culinary skills to help raise money for women's health. This will be Slusser's 10th year participating in the event, which happens April 27 at Memorial Coliseum. 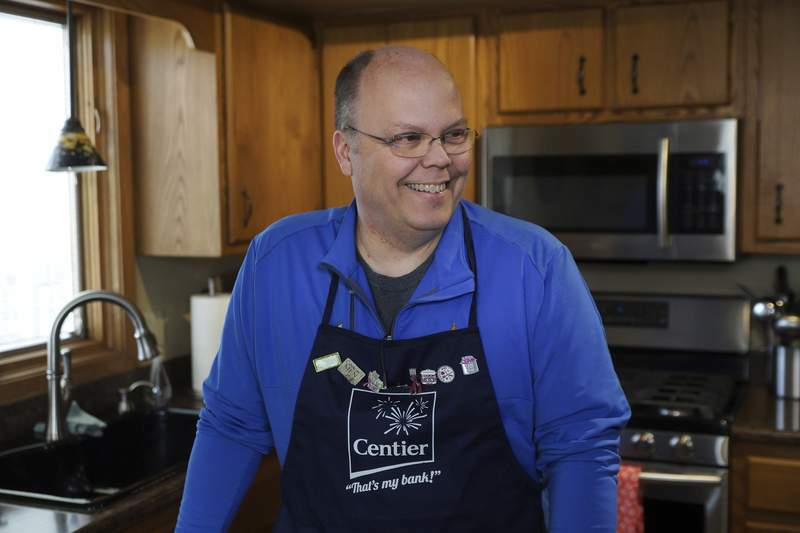 Slusser, 50, says he can follow a recipe, but the kitchen space pretty much belongs to his wife. She actually helped him find the recipe that he has been using nine years. Slusser says if guys were honest, many of them would admit that their wives helped them with their food. “I've gotten it down to a science,” he says of his recipe. 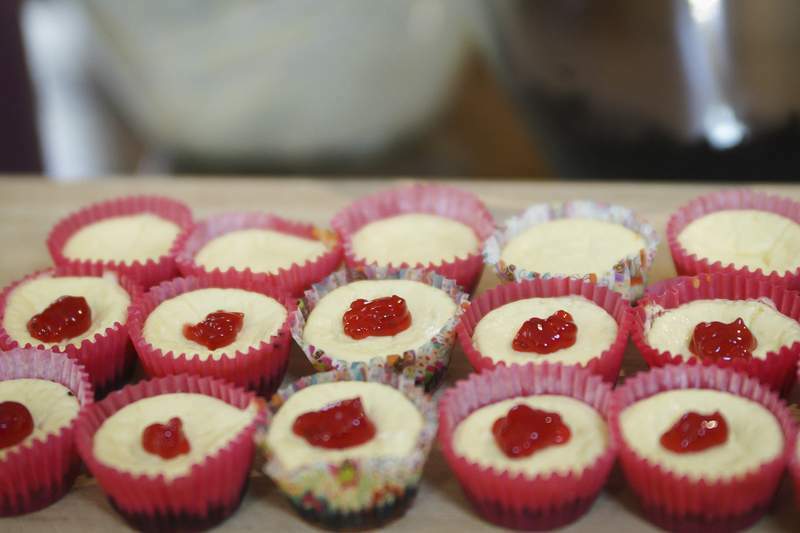 Slusser says he gets up early on Saturday morning, the day of the event, and begins to make his cheesecakes. It takes about four to five hours to make between 300 to 350 of them. Slusser makes two different cheesecakes – one with a vanilla Oreo cookie bottom with a peach sauce and another with a chocolate Oreo cookie bottom with a raspberry sauce. Slusser says the event supports a great cause and as a father of three daughters as well as having a granddaughter, “Women's health is near and dear to my heart,” he says. This year's proceeds will go to Francine's Friends Mobile Mammography program, says Erin Buchs, communication and development specialist with the Parkview Foundation. Francine's Friends was started by a group of close-knit friends who wanted to honor Francine Schubert, who lost her battle against cancer in 2002. In 2005, with the help of Parkview, the mobile mammography coach began traveling through northeast Indiana, making lifesaving mammograms available to more women. Francine's Friends was the first beneficiary of Cookin' Men, which Schubert's friends started 16 years ago. This year has the second-largest number of chefs participating in the event. With veteran and new chefs, Buchs says attendees, which are expected to be about 1,500 to 1,600 people, can expect sliders, drinks, bacon and chocolate desserts, buffalo mac and cheese and salmon. For J.A. Arnold, he will be dishing out Tennessee White Fireballs, which are similar to rum balls but made with Jack Daniel's Tennessee Fire whiskey. The ingredients are vanilla wafers, white chocolate chips and a bunch of sugar, Arnold laughs. And of course, the whiskey. This is his fifth year, and the first few years he did drinks. “I was good at that,” he laughs. Then last year, he made rum balls. This year's fireballs will have about a cup-and-a-half of whiskey in each batch. Arnold will have to buy three or four bottles to make 10 batches, about 500 balls. The 52-year-old says the Cookin' Men event allows people to try a lot of different things that they may not have tried otherwise. “If you walk out hungry, there's something wrong,” he says. As far as cooking, Arnold says, “I'm not the best cook in the world.” He admits he eats out a lot, but he does do well with eggs, such as making omelets. While Slusser doesn't spend a lot of time in the kitchen, he and his wife do cook together. He says he enjoys helping her with dinner. And, the more men that start cooking, maybe the number of women spending more time in the leisure category will go up. Terri Richardson writes about area residents and happenings that affect their lives in this column that publishes every other week. Email her at trich@jg.net or call 461-8304.